Relation of structural features to the service behavior of the material. Longitudinal section of wrought iron which failed in service. 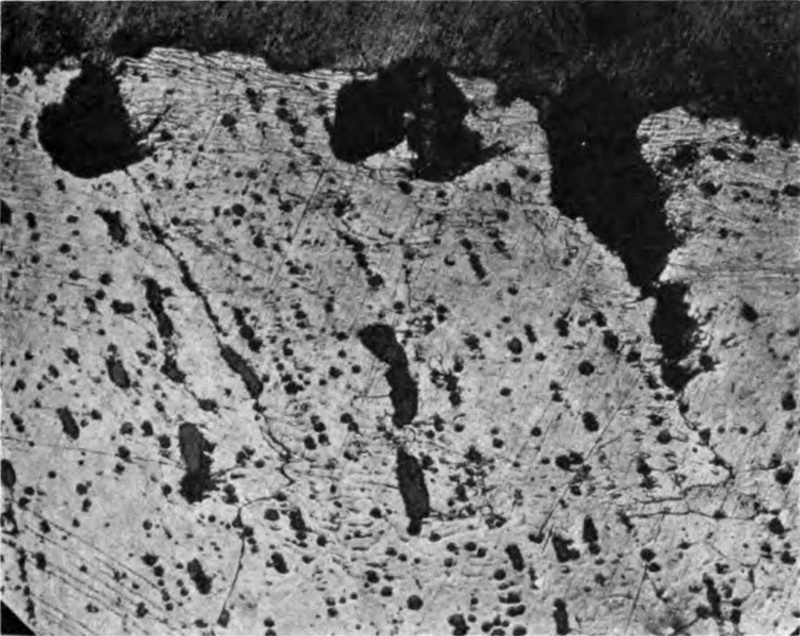 The edge of the fracture is parallel to the bands which constitute the etch pattern here. Etching, 10 per cent. nitric acid. X 100.